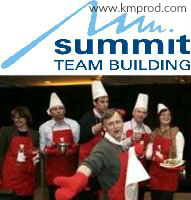 CONUNDRUM™ will take your company on a multi-faceted, experiential corporate team building program unlike any other. No matter which of their unique puzzle-based teamwork activities you choose, your Conundrum Adventure will engage your staff in a friendly competition of wits, decision making and creativity. But what exactly is a Conundrum Adventure? Always based on interesting neighbourhoods and venues, Conundrum team building events are described by clients as clever, diverse, professional, challenging and, most importantly, entertaining. But while their adventures are, on the surface, all about fun, they are very serious about the tangible team lessons and dynamics on which they are created. After all, whatever the specific objective for your event, you want the experience to get your team functioning at a higher level. When you bring your team together for a Conundrum Adventure, you set in motion a range of benefits centered around fun and learning but also clearly demonstrating the improved team dynamics. At its most basic, your adventure is an exciting and entertaining game that allows team members of all ages to have fun together, to get to know one another better, and to work together towards achieving a common goal. During your team-building exercise your team has the opportunity to experience effecitve teamwork and the positive impact on team dynamics. Being away from the day-to-day noise of the office can provide fresh perspectives, a new appreciation for co-workers, and an increased commitment to team goals and principles. 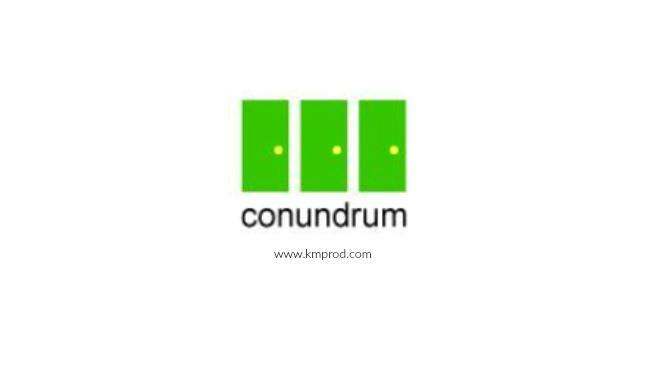 The conundrums are specifically designed to help foster collaboration and creative problem solving among members of your team. The structure of our adventures will also demonstrate the strengths and weaknesses of teamwork, engaging your team in planning, decision-making and time management, as well as emphasizing the importance of effective communication skills. How to make decisions as a team. Conundrum focuses on creating and delivering an experiential team building activity that strikes just the right balance between team fun and team learning. Each of their adventures easily stands alone as an entertaining team event that gets people working together. But each of their teambuilding exercises are also designed from the start to impart valuable lessons on effective and efficient teamwork. The exact balance between these 2 complementary goals is determined by your choice of adventure and program. First, select the adventure theme and setting that best appeals to your group, and then pick the program that matches the learning objectives for your event. Whatever combination you choose, they'll work with you to ensure your team’s experience is first-rate. Pre-tested and ready to go - easy to plan and professionally delivered. Equipped with maps, compasses, and game cards, teams of 4- 6 participants compete to solve as many mind-bending challenges (a.k.a. conundrums) as possible within an allotted period of time. The Conundrum adventures are a great outdoor team building alternative using city streets as game boards, cryptically leading teams to novel and unusual places of interest. Specific routes are designed around your chosen starting and ending locations, making your adventure both convenient and efficient. Conundrum indoor team building activities fit the bill when you want to bring all the benefits and excitement of our original adventure indoors. Instead of sleuthing throughout the city, during this employee training, teams of 4-6 participants must navigate their way through a particular city venue in an attempt to solve as many mind-bending conundrums as possible within an allotted period of time. Exhibits come alive in a new way as teams use them for the basis for their problem solving challenges. In addition to providing excellent Conundrum game boards, our venue partners offer optional meeting room and catering options that are suitable for our Team Debrief & True Colours programs, and any other meeting or agenda plans you have for the day. NOTE: Costs for these programs are dependent on location; # of participants; and the length of the desired program. Contact us for more information. Our team thoroughly enjoyed the opportunity to get outside, explore Toronto, and work together to solve the challenging puzzles you put together for us. Our Conundrum Adventure team building exercises posed many of the same challenges that we face in our work environment - we needed to plan, strategize, prioritize, and definitely needed to use some creative thinking in order to be successful! Thanks for running such a fun and well-organized event. Our team thought the Conundrum Adventure team building exercises were great - it was original, challenging, creative and fun! The fast pace of the program and the intelligent clues really held people's attention for the duration of the event. As well, people loved the fact that it took place at the ROM, which is a terrific venue. Thanks for delivering a memorable team building event. Conundrum delivered an exciting and educational team building event to Tetra Pak. The puzzles were clever, diverse and really encouraged people to interact with their teammates in a practical, fun way. We were also pleased that the debriefing at the end of the program effectively connected the experience back to our work environment and highlighted some important takeaways. The Conundrum Adventure you ran for us was a very positive experience - both in the planning stages and the actual execution! People on our team appreciated the professionalism with which the event was delivered and really enjoyed the opportunity to interact outside of the office, have fun and be challenged by the wide range of interesting puzzles (a.k.a. conundrums!) that the team building exercises provided us. Conundrum provided one of their Adventures as a social event for our summer interns and approximately 40 potential recruits. People had a great time together and were highly entertained by the variety of puzzles included in the Adventure. Many people also commented on what a terrific way it was to see the city since the puzzles took us to interesting places we never would have visited on our own. Thanks for delivering such a memorable team building event! We had Conundrum Adventures run one of their programs as a part of our most recent Finance Team quarterly meeting. Including an experiential activity in one of these meetings was quite a departure from our regular agenda and several people were skeptical. However, at the end of our Conundrum Adventure, everyone agreed that it was a wonderful addition! Our team thoroughly enjoyed the variety of intellectual challenges included in the team building activities, the interactive nature of the event, and the fact that there were many aspects about the Adventure which we could apply back to our work environment. We've struggled to find a team building event that would appeal to everyone on our very diverse team. Over the years we've tried several things, with varying degrees of success. Running a Conundrum Adventure was a great solution! The wide variety of puzzles included in the Adventure ensured that there was something for everyone. Your program offered our team a fun opportunity to work with one another outside of the office and learn about ourselves, our colleagues and the value of teamwork. One request, please. Remember the puzzles you used with us this year - we'll want a different set when we do this next year. The Conundrum Adventure was extremely well-received at Osler, Hoskin & Harcourt. Participants found their Adventure to be challenging, exciting, fast-paced and fun. People were impressed not only by the cleverness of the puzzles but also by the diversity of puzzles - which meant that there was something to appeal to everyone in the group. We hired Conundrum to provide one of their team building activites in the second week of a 10-week training course. Participants thoroughly enjoyed the dynamic program that was delivered, got to know one another better and, since many were from out of town, found it a great way to see the city. All in all - a great afternoon! The event that you ran for us was a great way to combine teamwork with seeing the city. Most of our group was from out of town and we found our adventure was a fun way to see interesting nooks and crannies of Toronto that we would not normally have visited. Thanks for a super afternoon - I'll definitely be recommending Conundrum Adventures to others! Conundrum Adventures provided a fun opportunity for us to get to know one another better and develop a more comfortable rapport. The program was professional, the facilitation was excellent, and the Bata Shoe Museum made for a very unique venue. All in all - a great day!